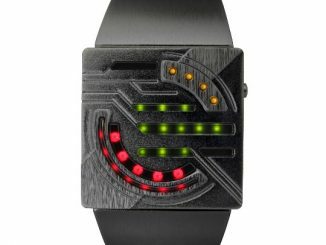 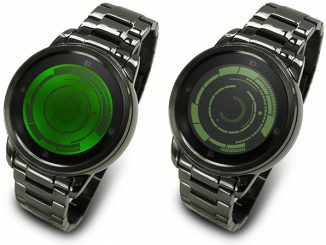 While previous watches from this company, such as the Kisai RPM and Light Speed Watches, had a Tron vibe to them, the Tokyoflash Kisai Seven LED Watch takes this to a whole new level. 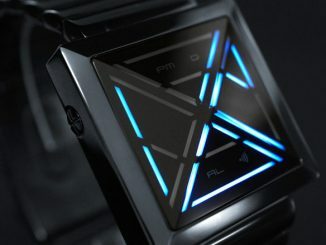 This brand new limited edition watch features 3 light-up modes and a pulsing light animation feature that clearly are inspired by the visuals of Tron—especially the Identity Disc. 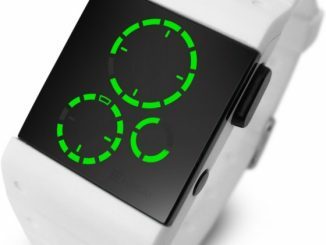 Fortunately, despite its futuristic looks, it is easy to tell the time on the Kisai 7. 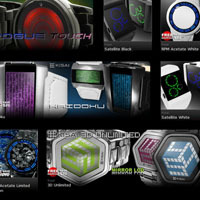 This can’t be said about all Japanese LED watches, which can sometimes be very tricky to read. 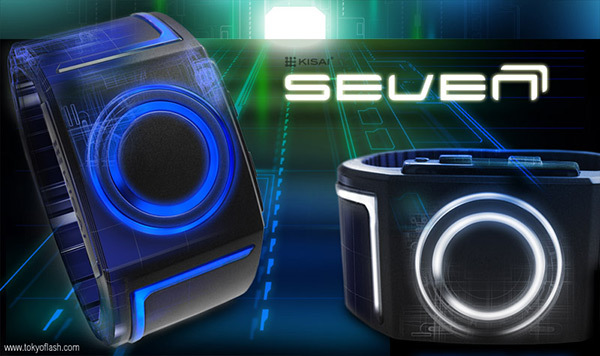 Although the Kisai Seven can use a lot of power when it is set in the continuous light-up mode, users don’t have to worry about changing batteries because the built-in battery is actually rechargeable. 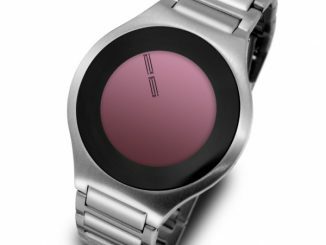 Just plug in using the included USB cable to recharge the battery, and achieve a full charge in about 3 hours. 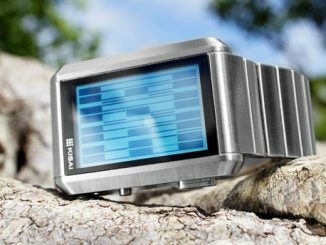 A full charge lasts about a month on the normal mode, so recharging often isn’t needed unless you use the higher energy modes. 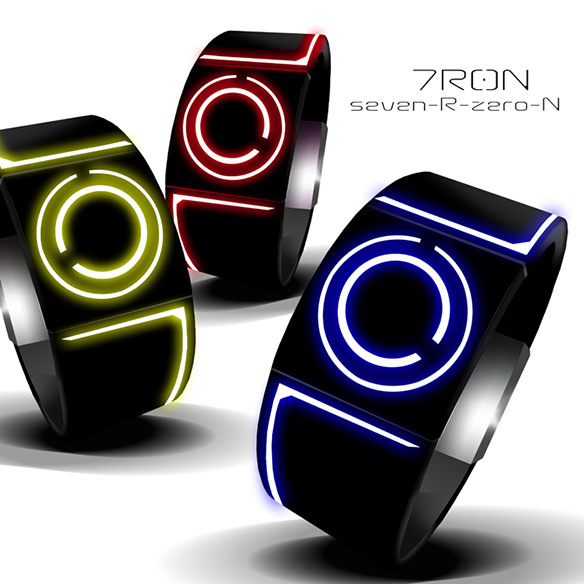 Two pulsating rings of light, a cool futuristic design & LEDs curving around your wrist, Kisai Seven brings an ultra-modern look to what is essentially a regular watch. 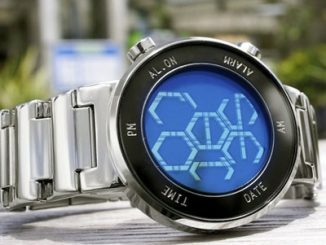 It may look unconventional, but those two rings point to the hours and minutes just like a normal wrist watch making it easy to read at a glance. 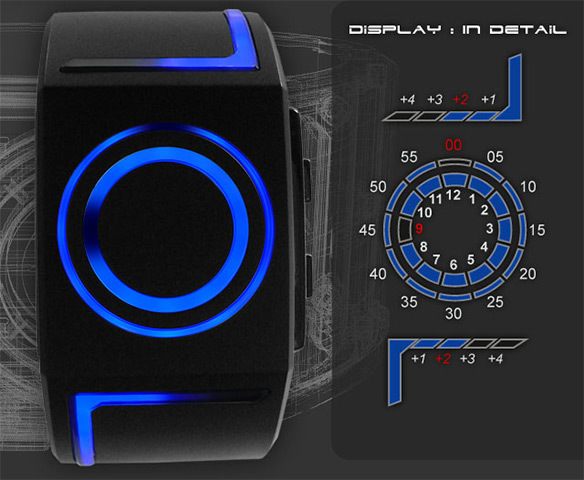 Available with blue or white LEDs, each part of Kisai Seven has been individually custom designed and manufactured including the case, strap and uniquely programmed LED display. 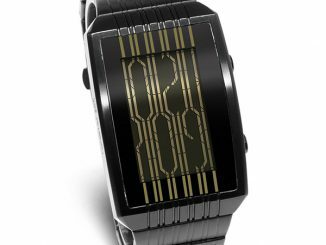 Like all watches from Tokyoflash Japan, it is a limited edition design which means it is guaranteed to be an original watch that not many other people own. 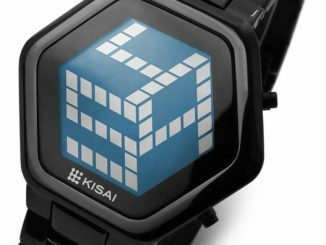 Order the Kisai Seven Watch for only $99 (€74, £64) during the launch special. 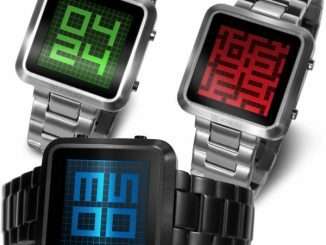 However, this special deal of $40 off is only until Friday October 28th at 11:00am (Japan time), after which it will cost the regular price of $139 (€103 £89).